Callum highlights the top five reasons why this year's SSF should not be missed. Come grab a free smoothie! 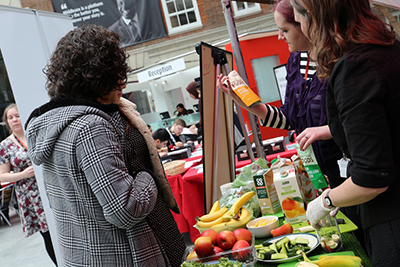 Simply gather three tokens from any of the stalls in exchange for a free smoothie. Browse through a choice of combinations such as blueberry and basil! Or if that’s too wild for you, play it safe with strawberry and banana? Meet our paw-fessional team, proven to help relieve stress and promote relaxation. 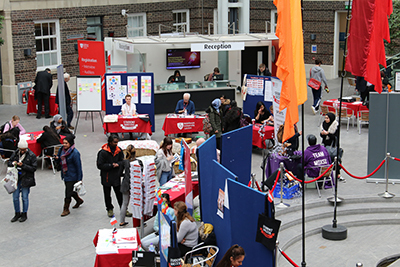 Present at the last Student Success Festival and back by popular demand, these dogs are certainly worth a visit. Take a moment from the stresses of studies for a well needed doggo meet up! 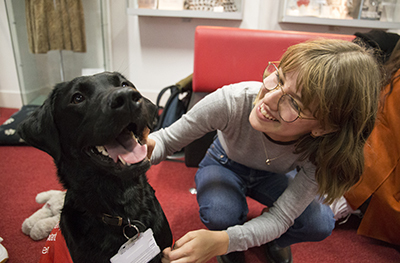 "An amazing service, and MDX is one of the only universities to provide this to students, so make sure you come down’"- Fiona, Canine Handler. Improve your interview skills and overcome hurdles with the help of specialist employability assistants on hand to answer questions or concerns. Pointing you in the right direction to find the most effective way to succeed in the ever-competitive job market! Come along and play! With games, unique activities to suit everyone and even free gifts for taking part. Fancy learning a new language? 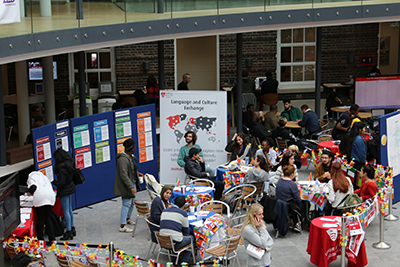 With Spanish, Italian and Mandarin on offer, come chat to native speakers as well as trying out our ‘cultural race’, with prizes to win! Do you need help or answers? In less than five minutes, the expert Library Speed Meet team are on hand to help. Highly sought after from the last festival and due to popular demand are back again. With wise gurus and engaging games, the opportunity to discover and learn is endless! Got a question about the festival? Email ssf@mdx.ac.uk with any questions. Book your Eventbrite ticket to receive a free gift bag.